The popular Bloomers Island! gardening kits and online world blossom in a playful, beautifully illustrated new book aimed at getting kids to love everything about nature. Join the Bloomers on a whimsical adventure as they attend a magical boarding school on Bloomers Island. 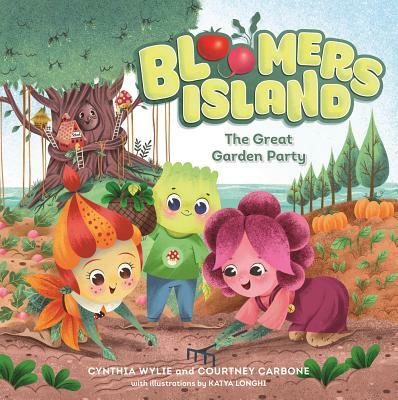 As Pete Moss, Rosey Posey, Big Red, Violet, and their friends prepare for the Great Garden Party, they learn about gardening, healthy eating, and caring for the environment. The treehouse school is held by the arms of Mr. Banyan, a tree about to celebrate his 200th birthday. His birthday party is filled with fun games that teach the curious students that gardening is not at all boring or hard—that it’s actually really fun!